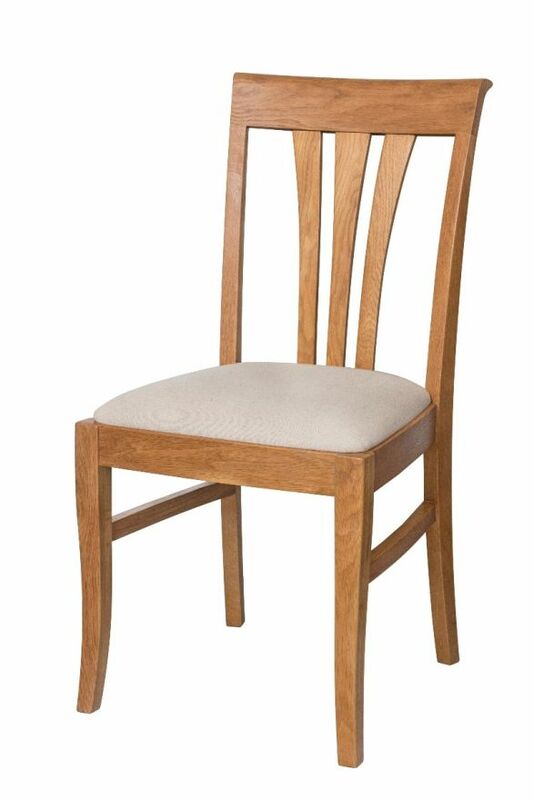 Victoria solid oak dining chairs with beige linen fabric seat pads. 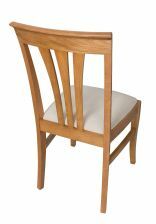 These are premium oak dining chairs made exclusively for Top Furniture. The chairs are just what we were looking for. They do not have too high backs. They are comfortable to sit upon, solid, well-built and not too heavy. We like the beige linen fabric seats; they look good and fit well with our decor. Delivery was made as promised. The chairs were well packed to ensure they arrived in top condition. These chairs are strong and sturdy but not too heavy, unlike most other oak chairs I considered. The linen upholstery Is of good quality also. The whole buying experience including delivery arrangements was excellent with emails answered promptly and the requested information included. Very stylish chairs of good quality and reasonably priced. I am pleased with them. We are very happy with the 8 dining chairs and solid oak table, with 2 extending panels, that we ordered. They are stylish, and arrived in excellent condition. We feel they are brilliant value for money and great quality. We expect them to enhance our dining room for years to come. Excellent service, with no hassle delivery on specified day. Very pleased with chairs. We are very pleased with our table, chairs and sideboard. Both my son and daughter have used your company in the past so we went on their recommendation and are not disappointed.